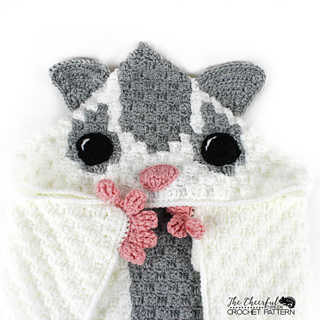 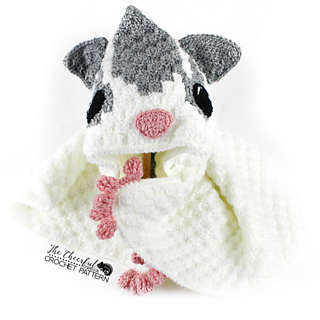 This unforgettable sugar glider hooded blanket simply cannot wait to wrap your little one up into a nice warm hug! 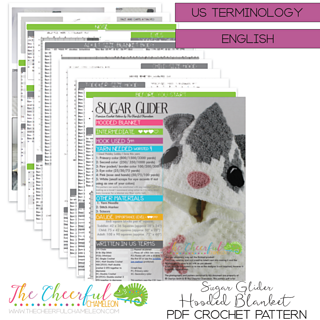 Easy to Intermediate Skill level required. 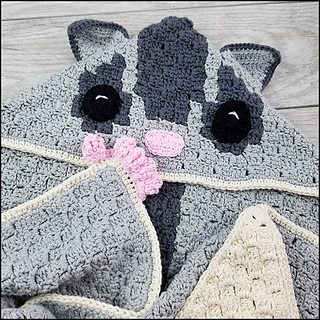 This body of this pattern is worked in the C2C style of stitching, and the features that are both worked into the round and in rows. 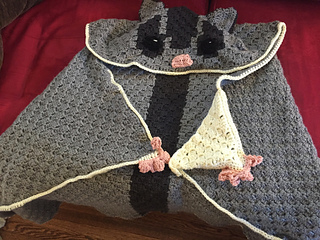 This pattern has some seaming. 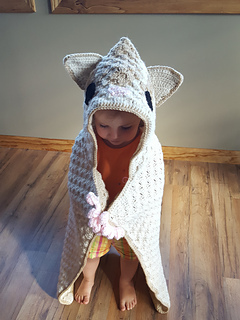 This pattern includes both graphs and written row directions and includes several pictures to assist. 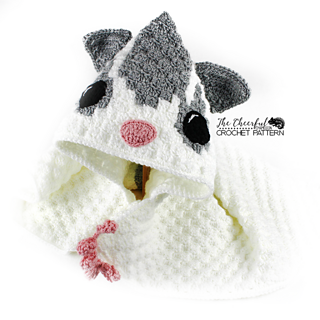 Uses worsted weight (4) yarn and a 5 mm hook.